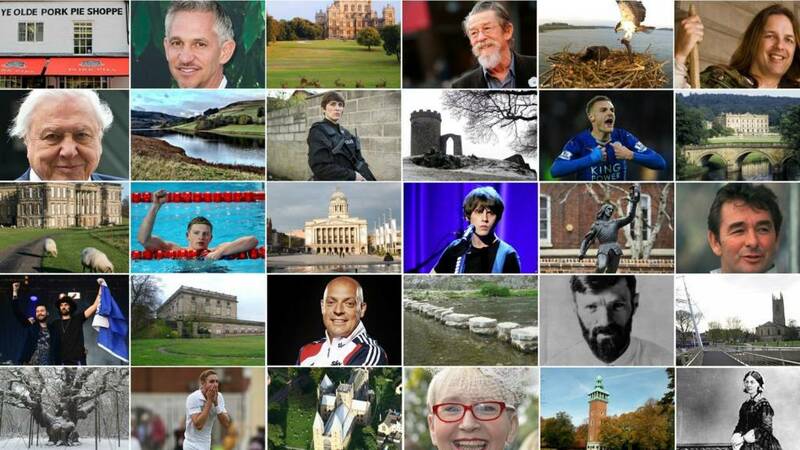 Listen live to your BBC local radio station in Nottinghamshire, Derbyshire and Leicestershire. This week's live coverage has now ended. We wiil be back with more news, sport, travel and weather at 08:00 on Monday. Remaining dry to end the day with clear skies. Temperatures will drop early allowing for a touch of frost. However the wind will strengthen and cloud will increase from the west towards dawn, meaning temperatures will begin to rise. Overnight lows of 3C (37F). Kate Street in Leicester is currently closed and armed officers have been spotted at the scene. We're awaiting further information from the police on what has happened. Daniel Cooper admitted two offences after changing his plea on the first day of his trial. The funeral of former Chesterfield and Leicester City player Rodney Fern is due to take place next week, his former club has said. The ex-striker, who died last week, will be honoured with a minute's applause during Chesterfield's home game against Stevenage tomorrow. The death of Belgrave Road jeweller Ramnik Jogiya has left other business owners in the area feeling nervous. One told the BBC: "This is a real shock to the community. Business owners are scared, but they don’t want to panic customers either." 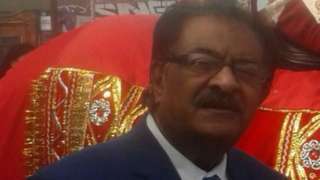 Leicestershire police have launched a murder investigation, believing he was abducted from his shop. A 60-year-old man has died in a fire at his ground floor flat in Alvaston. The fire service said the blaze, which started in Brighton Road at about 00:50, appeared to be accidental. 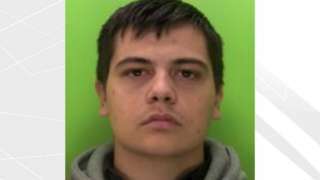 Daniel Cooper, from Church Warsop, committed two offences against the "vulnerable" victim. A grieving husband has thanked a community for the support it has given him since his wife’s death in a gas explosion. John Jasper spoke movingly today as hundreds of people gathered to pay their respects at the funeral of his wife Janet. CCTV footage showing Ramnik Jogiya leaving his jewellery shop in Belgrave Road the night before he was found dead in Stoughton has been released by police. Det Ch Insp David Swift-Rollinson said:“This shows his movements just before he was taken, the last moments before his life changed and the sequence of events that would lead to his death began. "He was heading home to his family for the evening, before he was taken." Police want anyone who saw anything unusual in the Belgrave Road area on Wednesday night to contact them urgently. 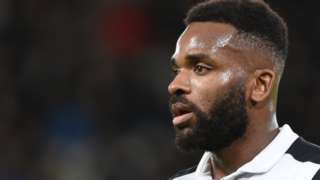 Derby's former England striker Darren Bent has joined Championship rivals Burton on loan for the rest of the season. 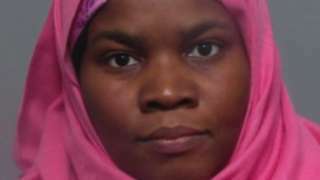 Police have confirmed a post-mortem examination has been carried out on Ramnik Jogiya, who was found dead in Stoughton yesterday. Det Supt Simon Cure said: "The post-mortem has some clarity but there are further tests that need to be done to absolutely establish the cause of death. He added: "A father to two children has died and his wife is devastated." This is believed to be the Belgrave Road jewellery shop where Ramnik Jogiya was working before he died. Police officers have been seen entering the store this afternoon and a floral tribute from a neighbouring business has been placed outside. A shopkeeper on the same road told the BBC: "It's very frightening to have this happen on our doorstep." Ramniklal Jogiya was found dead by the roadside the day after a suspected break-in at his shop. This is the burst pipe that's left many homes without water in Melton Mowbray today. Engineers from Severn Trent have been working to fix the six-metre section since it broke early this morning. The firm said the majority of homes were now starting to see water return, though some people might be experiencing low pressure. Jack Adcock, six, died hours after being admitted to hospital with sickness and vomiting. The Transport Secretary has admitted the East Midlands has fallen behind with infrastructure development when compared with other parts of the country. However, speaking on a visit to Mansfield, Chris Grayling said the region was "up the top of the priority list" for his department. He added: "Although it [the East Midlands] is getting, through the development of HS2, one of the biggest bits of investment in the country we've actually got to make sure we look at how we deal with better rail issues here". A man found dead in Stoughton on Thursday has been named by police as 74-year-old Ramnik Jogiya. His death is being treated as murder, following a break in at a jewellery shop in Leicester. Police are currently carrying out door-to-door enquiries (pictured) in the area.